For those of you who loved seeing the work that Lauren Wiebe of Stonehouse Creative in Winnipeg and other floral designers and creatives from around the continent put together for this shoot in the mountains of North Carolina, it's your turn to be involved. 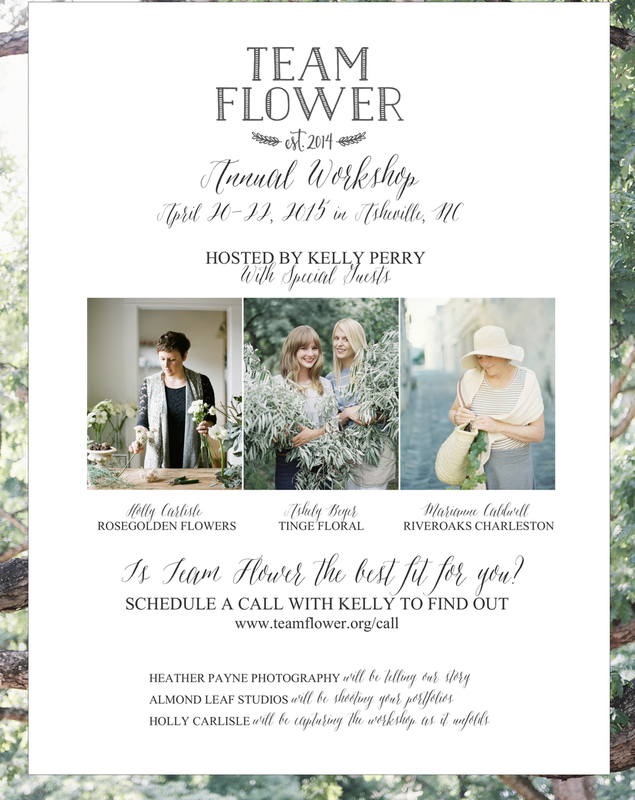 Kelly Perry is hosting her annual Team Flower Workshop in Asheville, NC this April 20-22. Visit www.teamflower.org for more details or to register.